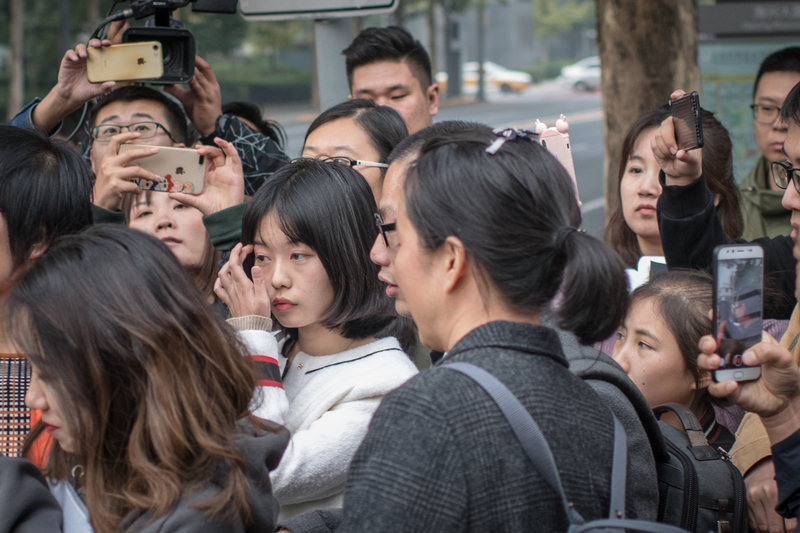 Zhou Xiaoxuan, who accused prominent TV host Zhu Jun of sexual assault, leaves court after a pretrial evidence exchange hearing in the suit Zhu filed against her for defamation, in Beijing, October 25, 2018. In July, Zhou disclosed on her WeChat account that Zhu had groped and forcibly kissed her four years earlier when she was an intern at his television station. Her post went viral. Zhou, 25, poses for a portrait, in Beijing, December 9. On September 25, while she was at one court filing a claim against Zhu for infringement of her right to personal dignity, Zhou received official notification from another court that Zhu had sued her for defamation. Also named in the defamation suit was Xu Chao, a friend of a friend, who had first posted Zhou’s accusation on the social media platform Weibo. Zhou’s apartment in Beijing, October 9. As a screenwriter, Zhou works from home most of the time. 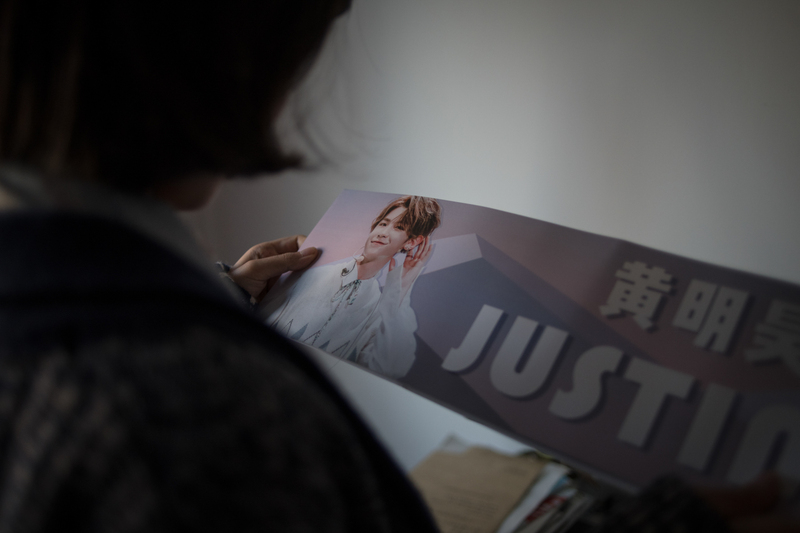 The prominence of her alleged attacker, whom many consider the highest-profile target of China’s #MeToo campaign, has brought Zhou intense public scrutiny. When she’s not working, she prepares for her lawsuits, takes interviews from the press, and fields calls from other victims of sexual assault seeking her advice. 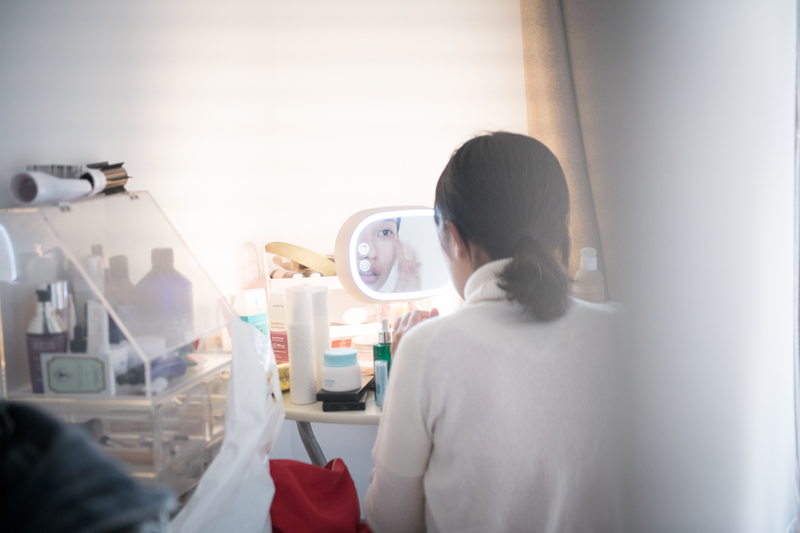 Zhou applies makeup before being photographed, December 9. Originally from Wuhan, she moved to Beijing in 2011 to attend a performing arts school. The apartment she lives in recently raised its rent by 7 percent, but Zhou is too busy with her lawsuits to find a new place to live. Outside the court, Zhou inspects a certification that her suit against Zhu has been accepted by the court, October 22. Providing evidence for her allegation of sexual harassment, as it is in many such cases, will be extremely difficult. Press wait outside the court during the pretrial evidence exchange, October 25. The hearing took more than two hours. Zhu did not attend. Zhou and Xu take press interviews after the evidence exchange hearing, October 25. 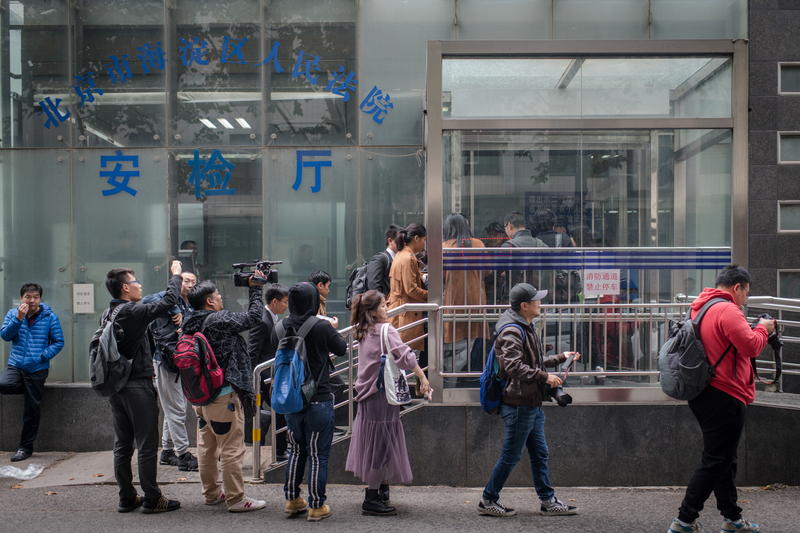 When a reporter at ‘Caijing Magazine’ searched a database of court judgments run by China’s Supreme People’s Court looking for cases with the keywords “sexual harassment,” “civil suit,” and “right of personal dignity,” she found such cases had been almost exclusively filed by alleged sexual perpetrators against their victims. The reporter found no instances in which victims won their cases. Zhou chats with people online, November 28. 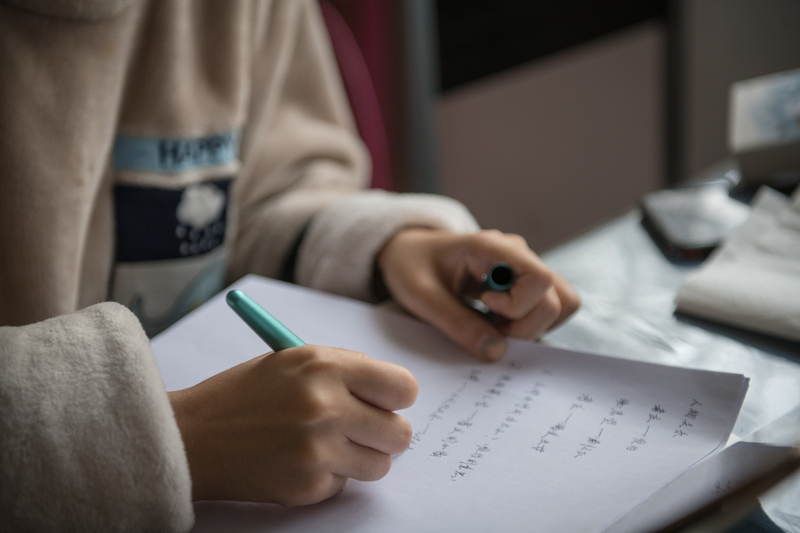 She says that since posting her accusation, she has encountered suspicion and criticism online, but most of those reacting have expressed gratitude and support. 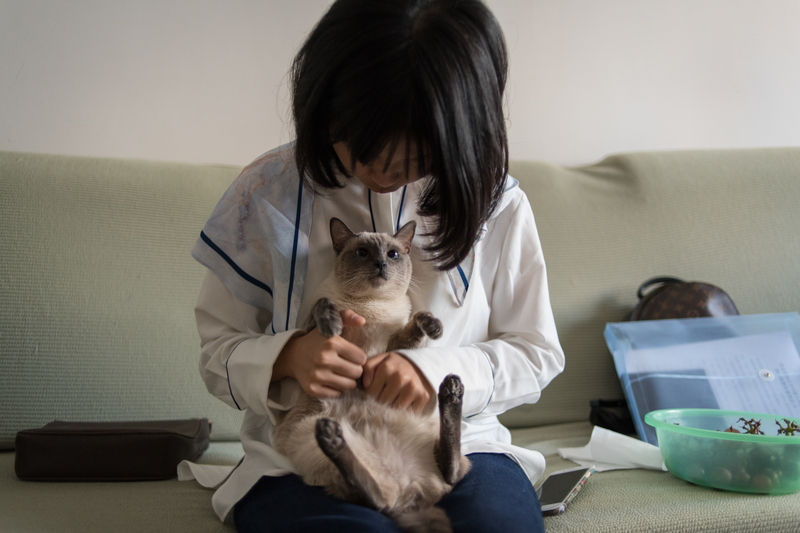 Zhou says that living under a constant spotlight has also given her a degree of protection; she says she has come to understand that people like her who make less publicly visible accusations face even greater pressure than she has. 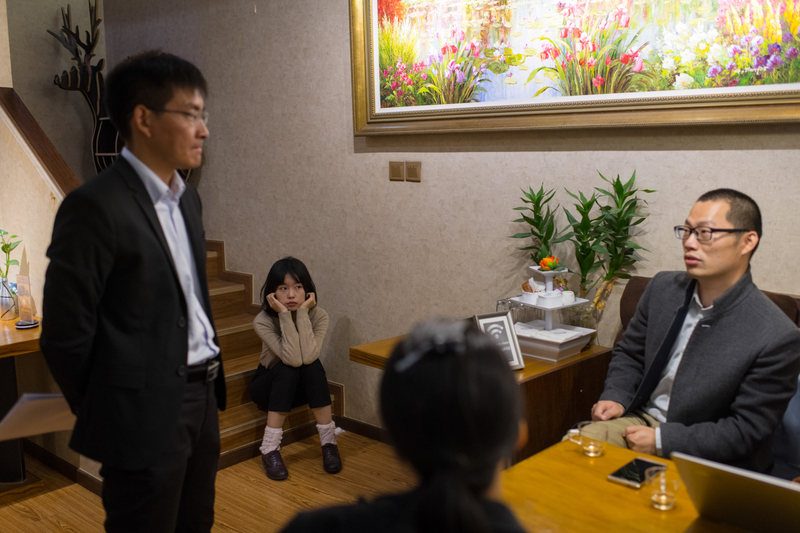 Zhou and Xu meet with their lawyers and witnesses, October 9. 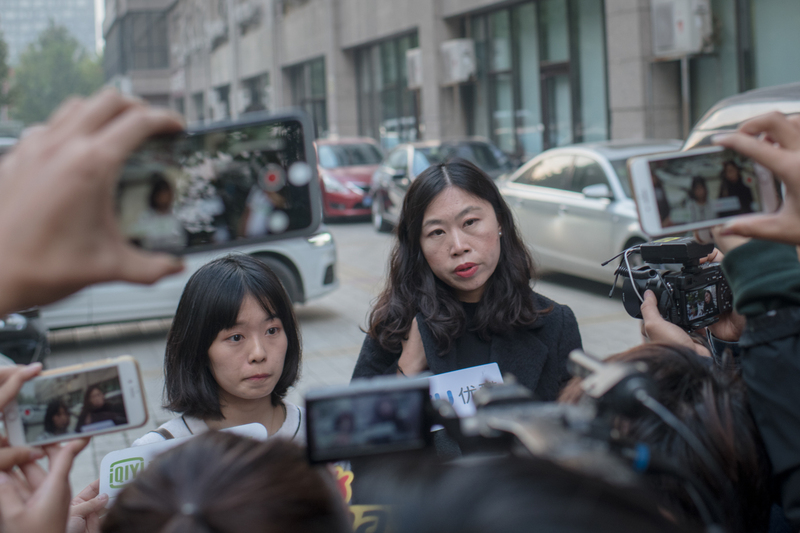 Zhou constantly worries about things that might damage her credibility in court, such as if she can’t accurately remember every detail from four years ago, or if her college classmates spoke negatively about her to the police. She doesn’t want to go to therapy in part because she is afraid that people might think she is mentally unstable, which could undermine the case. Zhou writes a script at home, November 28. She says she tries to not let her case influence her work too much. 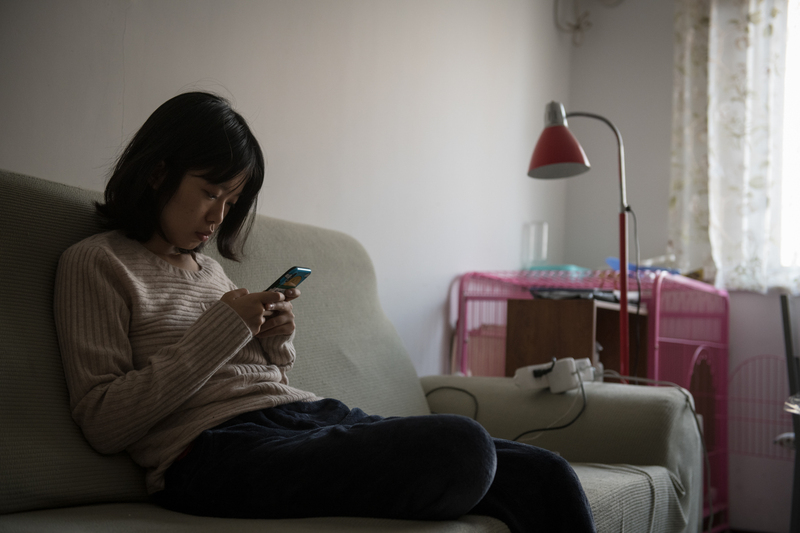 In the summer of 2014, Zhou Xiaoxuan, then a 21-year-old living in Beijing, filed a report with the local police. She described what had happened the previous day when she had delivered a basket of fruit to one of China’s most prominent news anchors, Zhu Jun, in his dressing room. Zhou told the police that after she entered the room, the anchor had kissed her and groped her against her will. 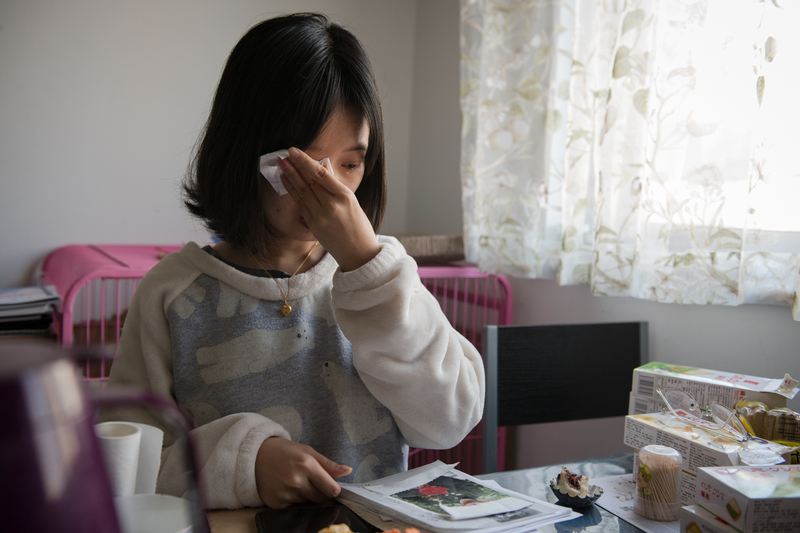 Two days later, the police contacted Zhou’s parents and persuaded them not to pursue action against Zhu and to not speak about the incident publicly. 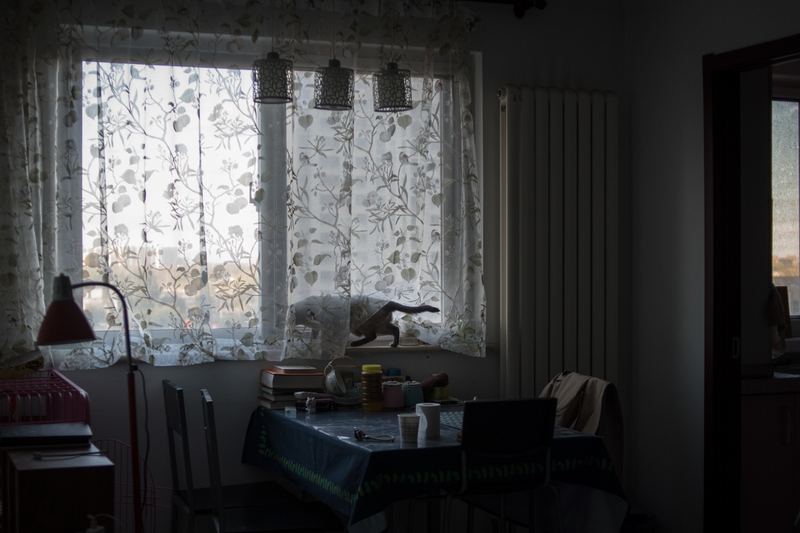 Zhou told friends what had happened to her, but the encounter—as do so many like it—remained a private matter, something for Zhou to contend with on her own. 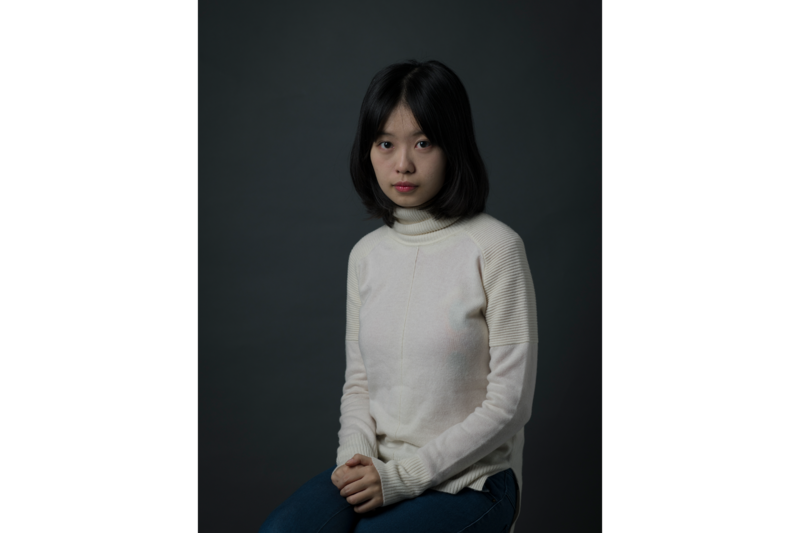 Four year later, the series of public sexual assault revelations that became the #MeToo movement in the U.S. in 2017 changed Zhou’s story. After seeing that an old friend living abroad had written a public post about being raped, Zhou decided to go public about her encounter with Zhu, posting her story on WeChat. An environmental activist named Xu Chao publicly shared Zhou’s 3,000-word post on the social media platform Weibo, and in two hours it went viral. The term “Zhu Jun” appeared on Weibo’s hot search list, which represents the most frequently searched key words on the platform, and was censored within hours. Zhou found herself catapulted into national prominence. Zhu (who has denied Zhou’s allegations) quickly sued her for defamation. Simultaneously, emboldened by an outpouring of support from other victims, Zhou sued Zhu for infringement of her right to personal dignity. 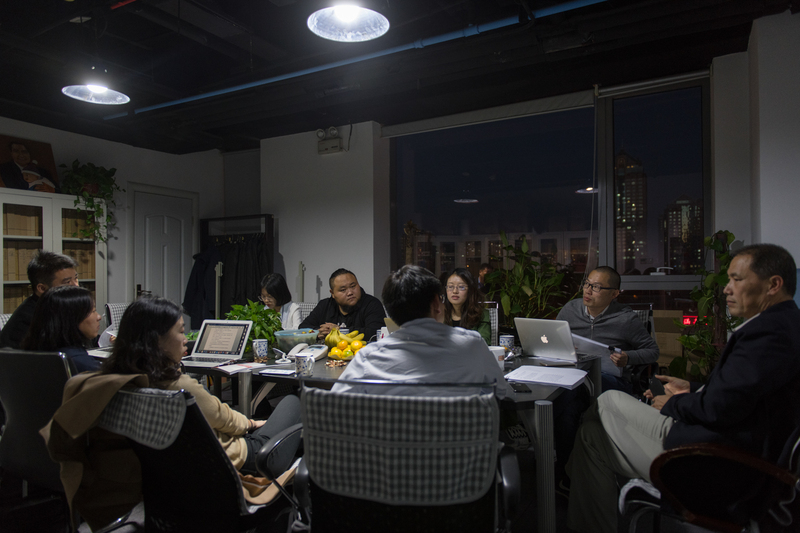 Editor’s Note: ChinaFile’s Visuals Editor, Muyi Xiao, is an old friend of Zhou Xiaoxuan, the subject of this piece. It was Xiao’s own public revelation of her experience with sexual assault that Zhou says initially prompted her to post about her alleged encounter with Zhu Jun.